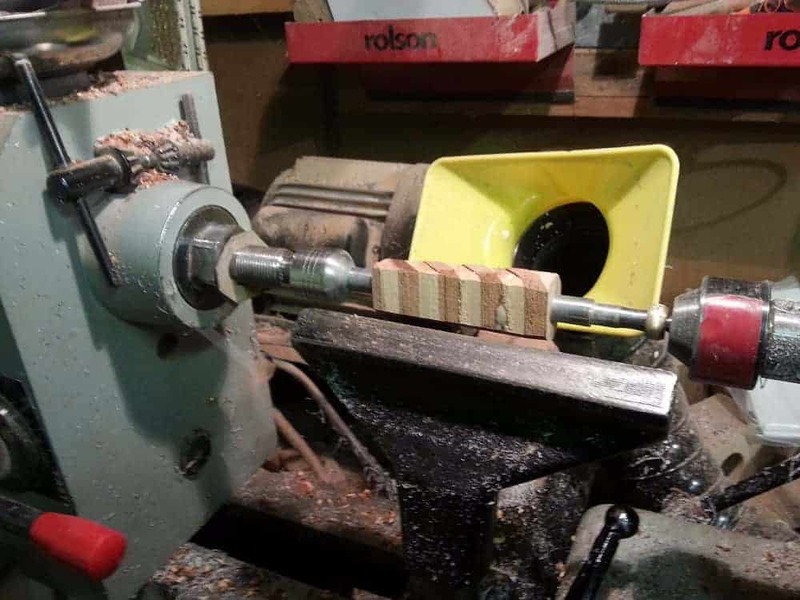 by, about 32mm high and the length depends on the size of the block required. 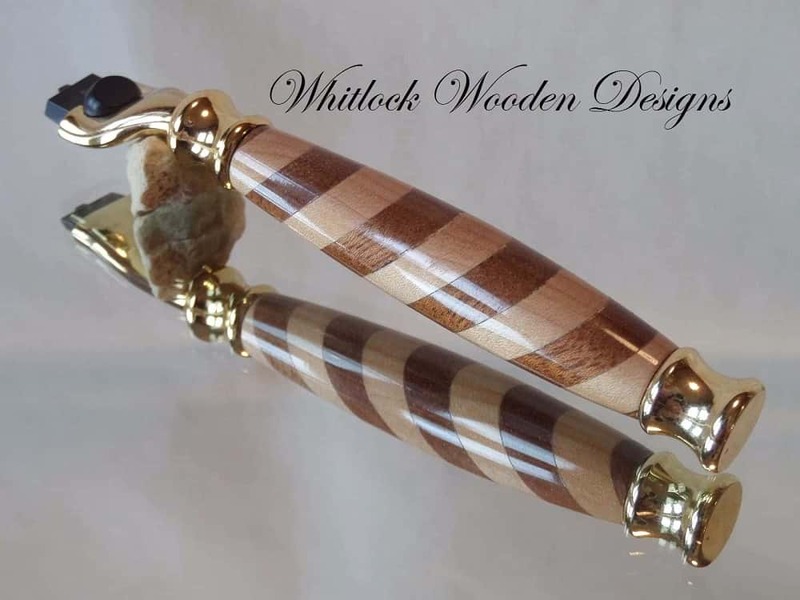 By making the strips 32mm I can use them for pens or razor handles. 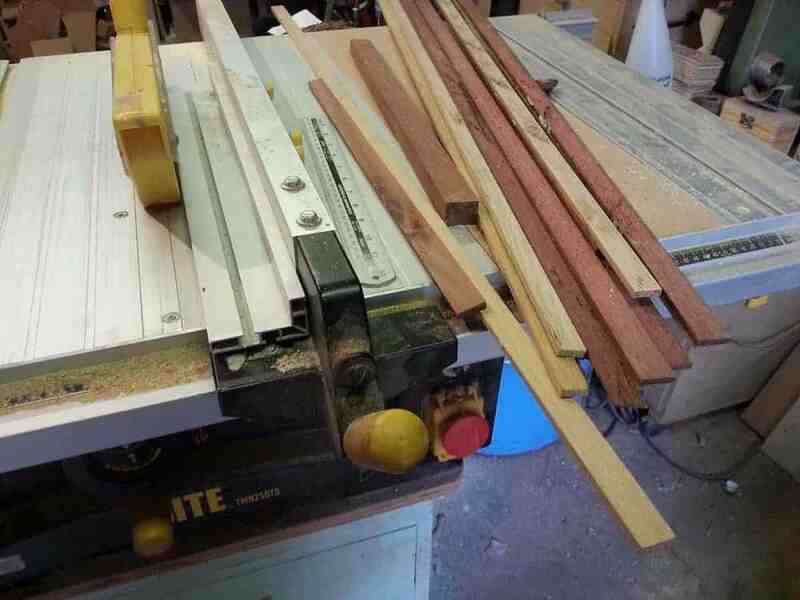 Ripping stock like this on the table saw can be wasteful with the saw blade producing a 4mm kerf so either use a thin kerf blade or rip on the bandsaw and thickness on the planer.Before glueing the strips together line them up. 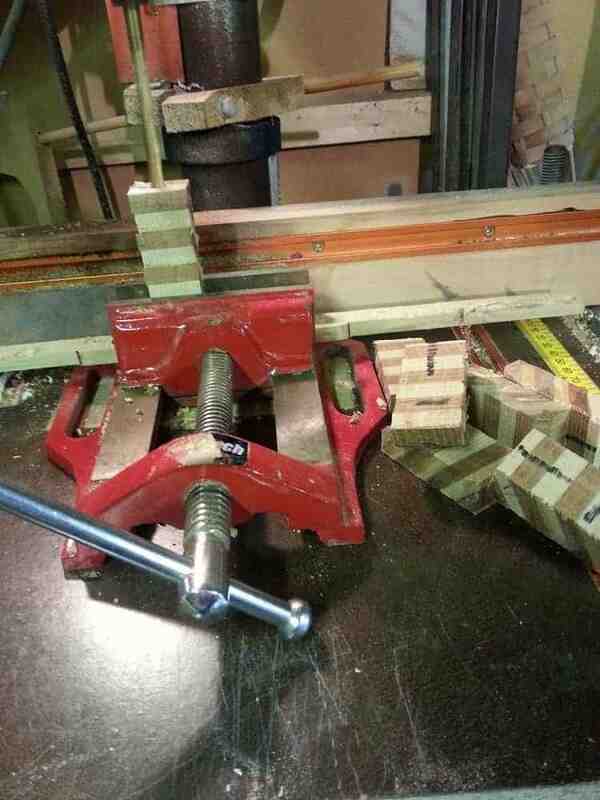 With, the edge of each one staggered by about 5mm from the one above this will cut wastage even further. 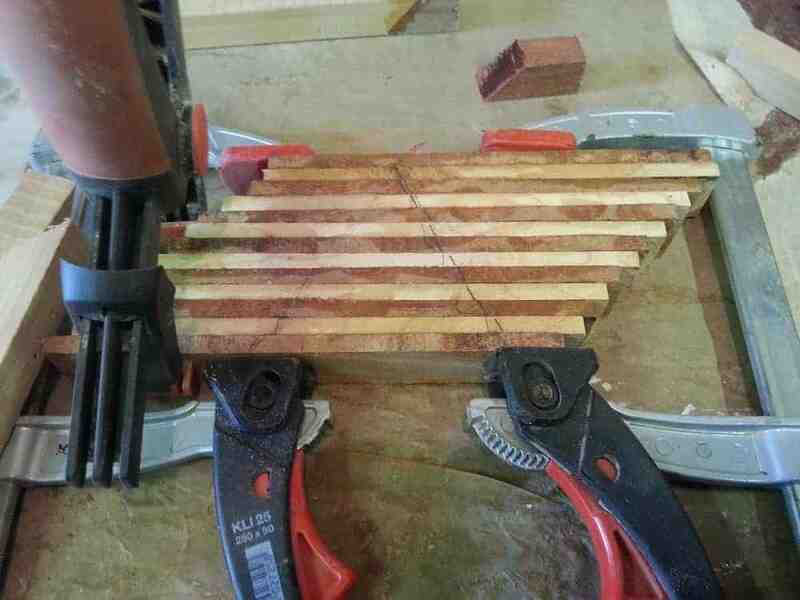 Do not forget to add the triangle marks for alignment when glueing up. Once dry rip to size on the bandsaw for the size of blank required. 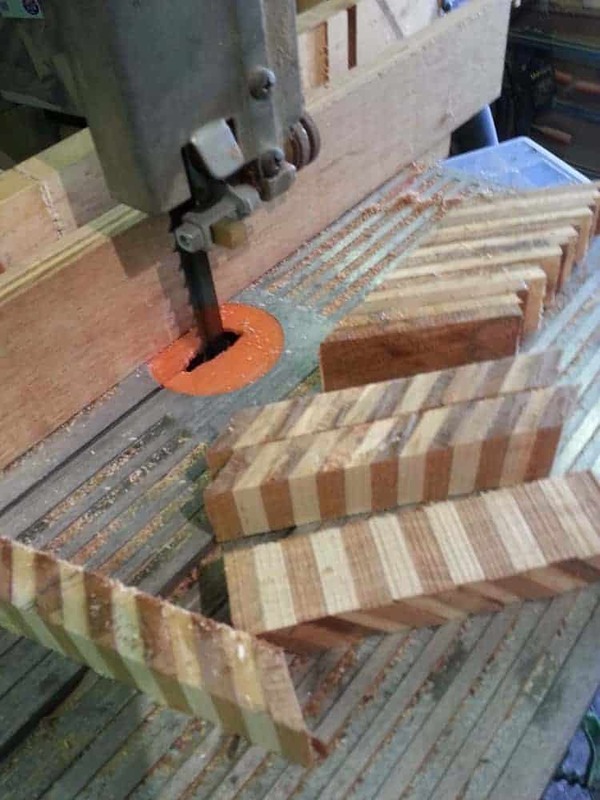 It is possible to use hand tools for all the rough sizing of the strips and blanks, but power tools are quick for such rough work and save the hand tools for the finer wooden crafts. 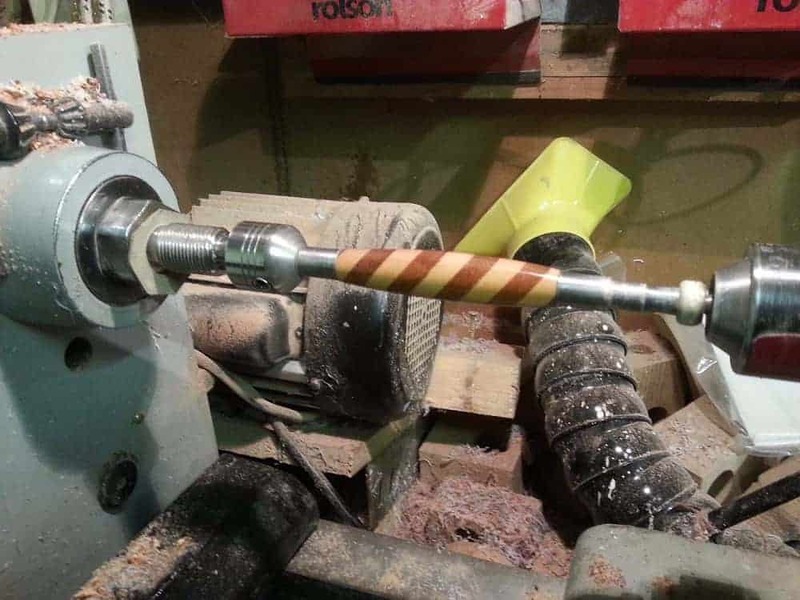 across, the centre of the blank for alignment and orientation when they get to the lathe if not things will get confusing fast with which part goes with which. 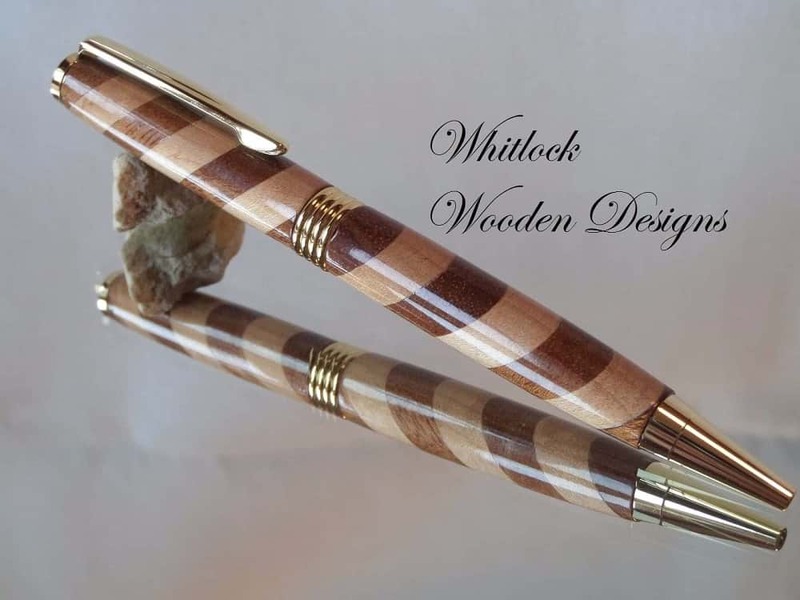 All the best pens, have the grain running through the pen across the centre band, this will be even more noticeable on these segmented designs and figured woods. With the parts drilled and tubes glued in place and left overnight to dry. No point in rushing this step or this will just spoil things. 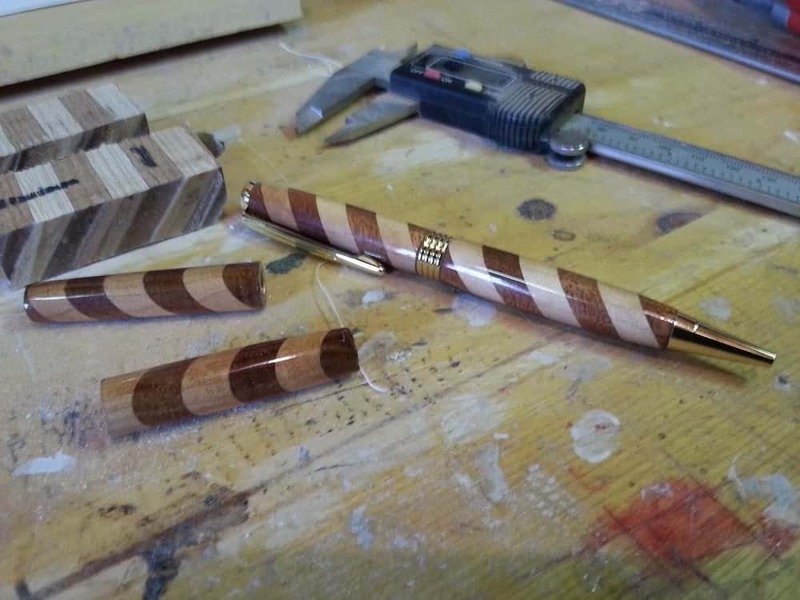 For wooden pens, polyurethane glue is preferable, for Corian its super glue and for resin pens, a two-part epoxy.With the blanks mounted between centres with the proper bushes, it’s just a matter of turning to shape and design. Above is the same handle turned and with the CA finish applied. There are other finishes available, but waxes and friction polish will not offer any long-term protection to the wood. The warmth from human hands will melt the wax within a couple of hours use so CA is the preferred choice for durability even if it takes a time to apply.With the pen, barrels turned to shape it’s just a matter of assembling all the components.